Two years after CASTLE ended, Nathan Fillion is returning to a series regular role on ABC. THE ROOKIE, which was ordered straight-to-series back in October, officially has a place on the network schedule in 2018-2019. 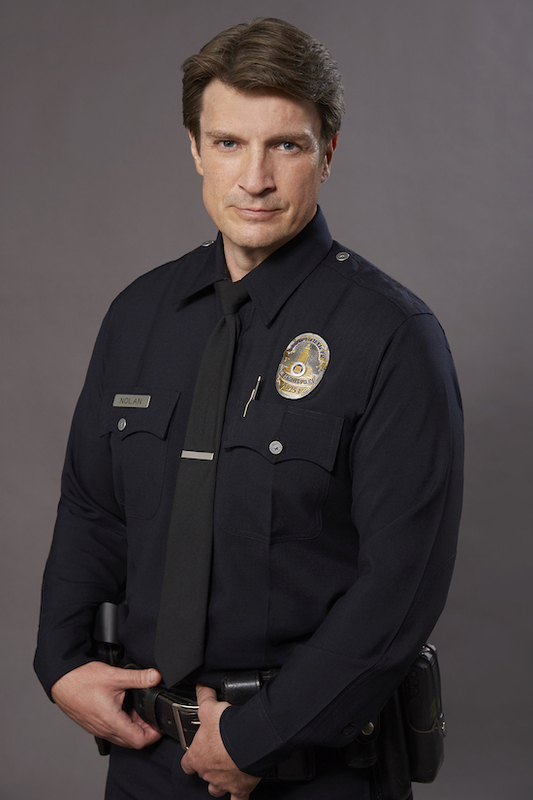 The series follows John Nolan (Fillion), who is the oldest rookie at the Los Angeles Police Department. The series was created by former CASTLE co-showrunner Alexi Hawley. In addition to Fillion, the show also stars Alyssa Diaz, Richard T. Jones, Titus Makin, Mercedes Mason, Melissa O’Neil, Afton Williamson, and Eric Winter. Here’s ABC’s official logline for the series: “Starting over isn’t easy, especially for small town guy John Nolan who, after a life-altering incident, is pursuing his dream of being an LAPD officer. As the force’s oldest rookie, he’s met with skepticism from some higher-ups who see him as just a walking midlife crisis. If he can’t keep up with the young cops and the criminals, he’ll be risking lives including his own. But if he can use his life experience, determination and sense of humor to give him an edge, he may just become a success in this new chapter of his life.